The one thing I’ve not missed whilst being out of England this year, has been the constant cloud of Ofsted. The constant cloud of Ofsted. 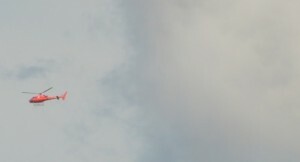 I’ve been working under a clear, sunny, Malaysian sky, and I love it. I’ve not been able to move from under the cloud completely though as many of my friends, both teachers and parents, in England have still been in its shadow. This blog therefore is for all those teachers and parents who, like me, just know there has to be a better way. 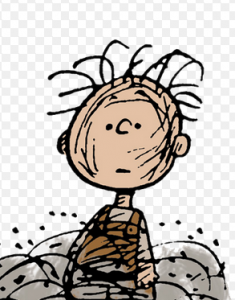 When I was an exchange student in Kansas, I came across the character called Pigpen from Schulz’ Charlie Brown cartoon. Pigpen was a rather down-trodden, weary character who was always followed by a cloud. Kansans particularly related to him due to the unpredictability and harshness of their weather which meant they, like him, often felt they had a constant cloud companion. If a school doesn’t get a good report everybody loses. Everybody is tainted. School leaders, teachers, students, parents. Everybody. De facto. The stress this puts on schools adversely affects everything, as school leaders and staff prioritise time and other scarce resources to Ofsted preparedness in the knowledge that this is the metric by which they will be judged should an inspection occur. As inspection dates become more imminent, notices containing key facts and reminders start to appear in staff toilets and above the sink in the staff room. These messages are reiterated in parent news letters and notices with the uncomfortable feeling of ‘you should already know this‘ about them. Individual students suddenly move from being children with their own specific needs and uniquenesses to being 2% in attainment data. And if that ‘2%’ is a level 3 in Year 6 then they are all of a sudden not doing well enough. Let’s do more booster maths, more booster writing, more spelling and grammar practice – and of course do less of everything else that might just motivate that child to come to school more ready to learn, or that rewards the exceptional progress they have made since joining the school in Year 4 with no English at all! Do as I say – not as I do. This must be the one phrase or type of behaviour guaranteed to most quickly destroy adult authenticity, and with it trust, in the eyes of students. Therefore, when students see schools seemingly prostituting their ethics and standards as they prepare for and pander to criteria they don’t necessarily believe, it’s not surprising they ignore the rhetoric and decide they can pick and choose too. I know that sounds really harsh, but it is true. If children are reminded what to say and how to say it when an inspector comes to visit, then what is that telling our brilliant young creative thinkers and independent inquirers? These qualities are great everyday in the classroom, but the message has gone out loud and clear that when it really matters, repeating the party line is actually more important. OK it’s a fact, but we all know how much time and energy we all spend coaching, comforting and cajoling students to arm them with the tools to overcome the fact that life is not fair and not use it as an excuse. Ofsted reports are in danger of actually institutionalising the excuse though as we see some schools with strong cohorts achieving expected attainment levels with satisfactory progress outperform those with weaker cohorts whose students soar but have not yet quite made the attainment grade seen as ‘average’ by the time they are eleven. Let’s not even start the argument about the additional support given everyday by school staff to children from poorer backgrounds and more challenging circumstances just to get the children to a point where they are at least ready to learn. One of the most frequent comments teachers make about the joy of working with their students is their unbridled, untainted, uncompromising, honesty and enthusiasm. They tell it like it is. When they get it they get it. And they do get it! They realise early that when Ofsted come to visit a game is being played and that they have a role to play in that game. Some know that they might get two unexpected days at home to help with their ‘behaviour choices’, others need to remember what their brand new maths target is and that if they say the right thing to the visitors, they will probably get an easy merit. They get that their unique, inspired, and individual opinions and ideas are not trusted. Not to be shared. They get it. Our kids are smart. Tragically, I know of a school who won a days visit by Frank Lampard, Chelsea hero to some and England hero to many more – an inspiring role model to most primary aged boys and girls. Anyway, the day that he was available to visit the school, there was already a trip planned to the local park so they turned Frankie down. They turned him down because the school trip had more academic value than a kick about with one of the top England players at the time. Come on! Common sense is being squeezed out here. I can’t say that was because of Ofsted, as I am sure that any inspector worth their salt would see the value in such an opportunity, however in the school’s panic about results and attainment levels, a football day did not fit into their plan. SO HOW HAS IT BEEN DIFFERENT WITHOUT THE CLOUD? I like to ask questions. I ask lots of them. The biggest difference I have experienced in my new life without Ofsted is the answer to most of these questions. No cloud. Just an intrinsic motivation to do the right thing by our children. It means that we have the freedom to look at exactly what we want our students to achieve, and decide on how best to support them in that achievement. I was, and still am, so excited about this that I did not immediately factor in however, the immense responsibility that comes with that freedom. There is no government intervention. Just us. Brilliantly liberating but actually quite a challenge to ensure we really do get things right. Without the extrinsic model imposed by the ever changing Ofsted framework, we can actually focus everything on what we believe is best for our students. No sudden additions, changes or u-turns, but a school defined purpose and clear direction. Lucky you I hear you shout. Well yes! A year ago, I might have just been talking about the exciting opportunities to choose what to teach and how to teach it; the benefits of having specialist music, art, PE, MFL, Learning Support and EAL teachers; the opportunity to continue to develop our own unique curriculum which is relevant to our international cohort. All pretty reasonable I think. Today I still believe all those things are hugely important but there is a catch. When a concerned parent comes to me and asks me how I know that our curriculum is going to equip their child with the skills, knowledge and understanding they will need for the future I relish the opportunity to highlight all the unique opportunities we offer our students. I talk about the curriculum content and our approach to holistic education, and then move on to the detail of their child’s individual progress and well being. A year ago I believed that this would be enough but sadly it is not. I am now beginning to understand the immense responsibility that comes with our freedom from Ofsted. Much as I am respected in my professional capacity, I am after all, only one teacher who thinks they know what they are doing. Many of our parents want much more than this. And as a parent, I actually understand that. So, without the dictat of the UK government, league tables and the ongoing ‘validation’ of Ofsted, we seemingly have little to go on at the Primary level here. We take full responsibility for the choices we make at our school. We choose to teach the National Curriculum of England and Wales in the most part, not because we are told to, but because the content for the core subjects is good and we believe it is the best for our students. We choose to use externally validated tests to measure student’s potential and actual attainment. I can’t believe that after never being a fan of SATS testing, I am now saying that we need these tests. But we do. We use them to support our teacher assessments and demonstrate that we are setting appropriate challenge and supporting progress for all of our students. We choose to publish our academic results on the school web site too. There are no league tables published but our parents have a way of working that out for themselves when they want to. We choose to do these things, not because we have to, but because we believe that external, trustworthy benchmarks are important, and because they give parents the validation they need. We might not have Ofsted, but competition and common sense dictates that we ask for external feedback and find ourselves a critical friend to ensure that we are on track and remain focussed on our key purpose which is: ‘To educate the youth of the world to take their productive place as leaders in the global community.’ A big ask and again, a reminder of the responsibility we have taken on. We choose to be accredited by the Council of International Schools (CIS) to both endorse and insure the quality of education we provide, and to support our ongoing school improvement planning process. We also recognise that going it alone is not always the best choice, so value our collaborations with many other schools in the area. We choose to affiliate ourselves with: Association of International Malaysian Schools (AIMS), East Asia Regional Council of Schools (EARCOS) and Federation of British International Schools in South East Asia (FOBISSEA) to give our students and teachers the opportunity to engage with, learn from, compare and compete with others from similar schools. External validation and engagement, however, is not enough to instil common sense and reward those who use it. That can only come from our students, teachers and parents. They can’t do it by themselves though, so we support them with constantly reviewed systems and support mechanisms. For example, teachers are setting next steps targets for their students, assessing learning and monitoring children’s progress and attainment every day in our classrooms and we get to share that with parents during only three parent evenings and an end of year report. We are about to introduce a new reporting procedure which will proactively share this information with parents every half term, with the next stage formally bringing the students into this process too. This type of ongoing review and change to internal school systems will ensure we continue to make common sense common practice. That is what we say to our brilliant young creative thinkers and independent inquirers, and as teachers, we have to ensure that we model these qualities everyday in our classrooms and around the school. It is not always easy, but our message has to be that the development of the key learner skills every day really does matter, and that means we have to take risks in our teaching and give the children constant opportunities to share their ideas and thoughts freely and without judgement. So, there are no excuses. We can’t blame Ofsted. We have the freedom to choose and we need to take on the responsibility that brings with it. So my Malaysian skies are Ofsted clear, but I fully recognise that we have ourselves put in place many of the external validators that Ofsted bring in the UK, but there is a difference. It is not always easy, but there is no cloud.